Registration is open. Click here to register! 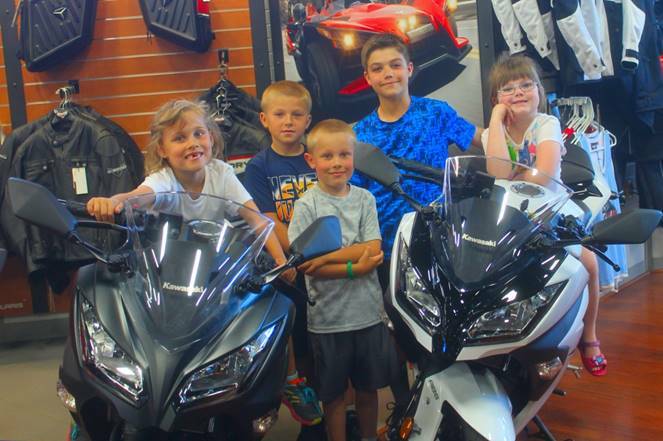 Starts at Rod’s Ride On Powersports and ends at the Moose Lodge on Ward Avenue. Food, beverages, and a cash bar will be available! All makes and models of motorcycles are welcome. Prizes will be drawn throughout the day. All riders have a chance to WIN! Day of Registration (Saturday, July 27th): 7:30 – 8:45 a.m.
You will receive an email when your registration packet is ready for pickup. 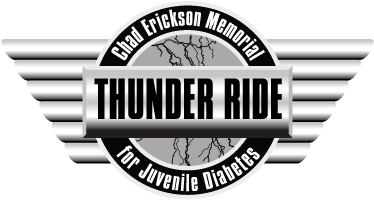 Follow our Chad Erickson Memorial Thunder Ride for Juvenile Diabetes Facebook page to stay up to date on the latest news about the Thunder Ride!